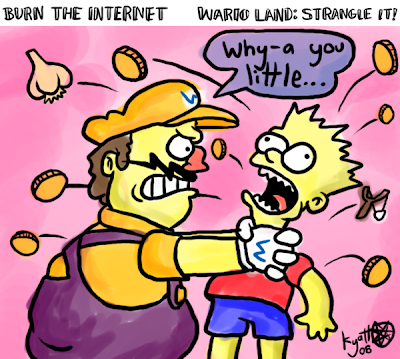 Burn The Internet: This Week's Comic - Wario Land: Strangle It! This Week's Comic - Wario Land: Strangle It! So Nintendo's releasing a new game this week in which a heavy-set man in yellow runs around violently shaking everything in sight. The comic pretty much wrote itself.